Legislation put forth by a powerful Tucson Democratic congressman that would make the Secretary of the Interior carry out the agreements made by the seven Colorado River states passed unanimously Monday. House Resolution 2030, also known as the Colorado River Drought Contingency Plan Authorization Act, requires the Secretary of the Interior to authorize the agreements reached by the seven states in mid-March. Its sponsor is Rep. Raul Grijalva, D-Tucson, who chairs the House Committee on Natural Resources. The plan has currently been in a state of limbo, with Bureau of Land Reclamation Commissioner Brenda Burman stating her concerns that the plans were not complete enough. That has led some to worry that the federal government may intervene in the DCP. Grijalva’s resolution is in part a response to a bill backed by the Bureau of Land Reclamation that would authorize the DCP with modified terms that many of the stakeholders disagree with. Grijalva’s proposal would make the federal government enact the plans that were worked out between the seven states: Arizona, Utah, Nevada, Colorado, Wyoming, California and New Mexico. Mexico is also a part of the DCP. Arizona Republican Sen. Martha McSally proposed the same measure last week in the upper chamber. The Senate is expected to vote on it this week, as well. McSally’s measure is cosponsored by 14 senators from states that submitted DCP plans. “It reflects the consensus of the states and Reclamation,” Kevin Moran, senior director for the Colorado river program for the Environmental Defense Fund told the Arizona Mirror, adding that it’s “absolutely critical” that the legislation passes. “Collaboration may not be the most exciting dynamic or news but collaborative agreements are absolutely essential to managing the new water reality caused by climate change,” Moran said. However, the DCP is not contention-free, as the Imperial Irrigation District in California has yet to sign onto the plan. The IID represents the Salton Sea, California’s largest lake which has been decreasing at a rapid rate, about a foot and a half per year, according to some reports. The declining water levels has led to poor air quality in the area because of dust. Nearly 650,000 people are affected, according to the Pacific Institute. If it keeps receding at its current rate, the Pacific Institute estimates that more than 100 tons of dust a day could be put into the atmosphere by 2045. “Undoubtedly, the Salton Sea needs a lifeline through swift actions, and the Colorado River needs a lifeline through swift approval of the Drought Contingency Plan in Congress,” an op-ed penned by several water resource managers, including Arizona’s Director of Water Resources Tom Buschatzke, said. The op-ed asserted that protections for the Salton Sea are in the DCP, provided the IID signs onto the plan. The IID stated in an April 2 press release that it supports Grijalva’s legislation, despite its reluctance to sign onto the DCP. “IID remains committed to the DCP process and regrets that it is not able to become a signatory to the DCP at this point,” IID Board President Erik Ortega said in the statement. Ortega applauded the legislation put forth currently that does include some protections for the Salton Sea. Despite IID’s concerns and reluctance to join the DCP, it appears that leaders are still confident in getting the plan finalized with groups like Gila River Indian Community signing on and approving of the measures. Gov. 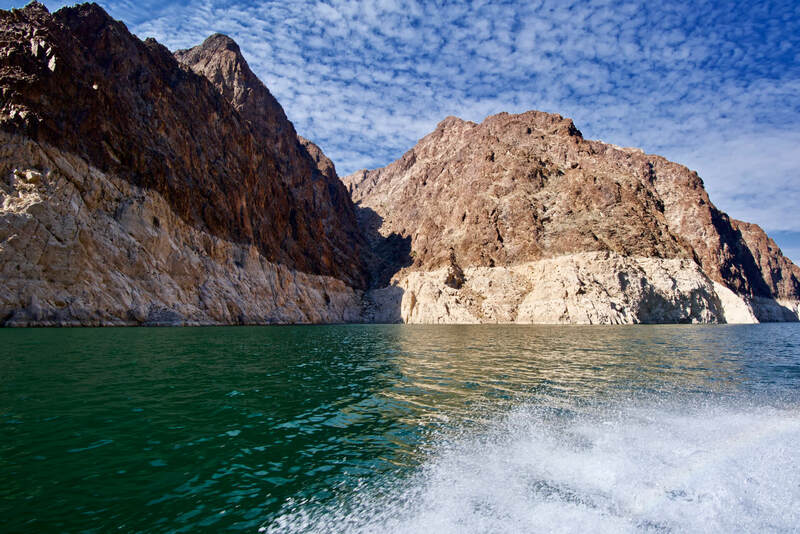 Doug Ducey’s 2020 budget includes a $30 million in additional funding for conservation efforts for Lake Mead which is 42 percent full as of April 8 and 1,090 feet above sea level, a 7 percent increase from January. Once the lake dips below 1,075 feet above sea level, the federal government will intervene and declare an official shortage. Both Grijalva and McSally’s measures have bipartisan support and are expected to pass.